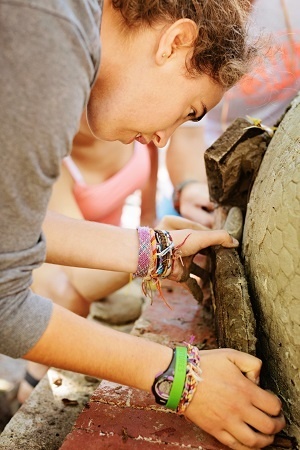 summers our campers and staff have worked on meaningful community service projects. The SMA Service Learning Program provides campers the opportunity to show commitment to yourself, to others and to your ability to shape the future. You are guaranteed to get your hands dirty. 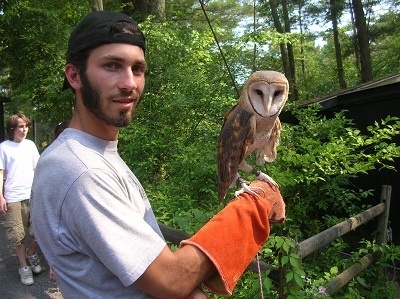 You may be involved in building new cages for Golden Eagles at the Shavers Creek Environmental Centre or work on watershed rehabilitation with the Clearwater Conservancy. Sometimes we work with a disabled older couple in painting and fixing up their home. The work can be challenging but the rewards are great as we learn to work as a team & give back to the community. We choose SMA Service Learning Projects carefully to ensure quality & that we only go where help is wanted. It is a helping hand, not a handout. Our projects will be designed to work alongside of local volunteers and deserving families. You will become part of our community while helping others, and knowing more about yourself. Who are some of the the local organizations we work with? How did we develop this program? Who can participate in the SMA Service Leaning Program? 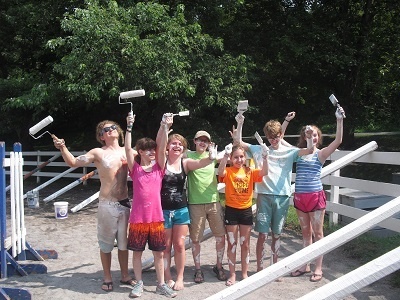 All campers at SMA Summer Camps for Teens can sign up for community service projects. Priority will be given to Super Campers who will have the opportunity to take a leadership role on projects. When Service Learning if offered during the week, it will be one of the 7 activities for campers to choose from that activity time. Some campers who are excited about this opportunity will sign up every time it’s offered while others will only do Service Projects on Saturday afternoons. Our goal is to provide SMA campers with more opportunities to create positive change in the community & in themselves. How many Service Hours can I earn each Session? Campers will have the opportunity to sign up for up to 2 service learning activities each week in addition to the Saturday afternoon Service Activities. Community Service needs to ethically responsible. SMA summer camps for teens will evaluate all of its projects to ensure our hard work is going to deserving causes.